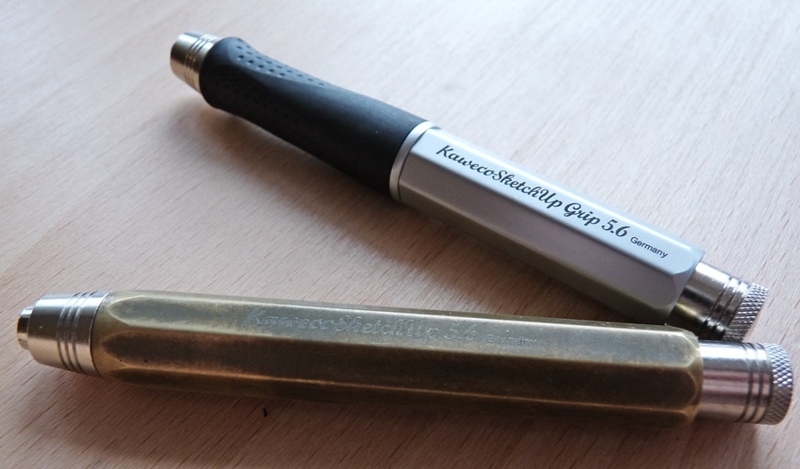 Kaweco Sketch Up Clutch Pencil Review and Giveaway – Pens! Paper! Pencils! The Kaweco Sketch Up line is a range of clutch pencils available in a variety of finishes, mostly taking 5.6mm lead. 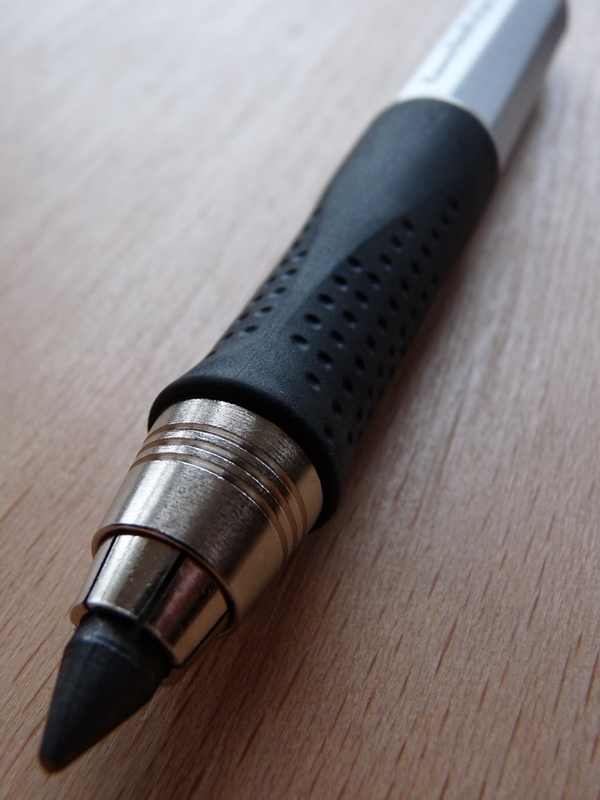 (Some take 2mm lead.) There are two kinds, one with a grip section (costing around £30 in the UK) and one without (costing about £27). 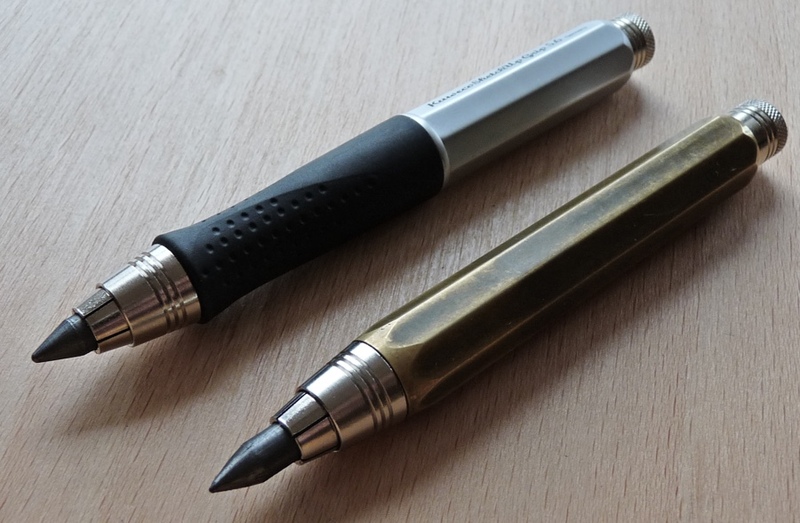 Here I’m reviewing an aluminium pencil with a grip and a brass one without. Both versions are solidly built and fairly weighty. The best word for describing these pencils is chunky. 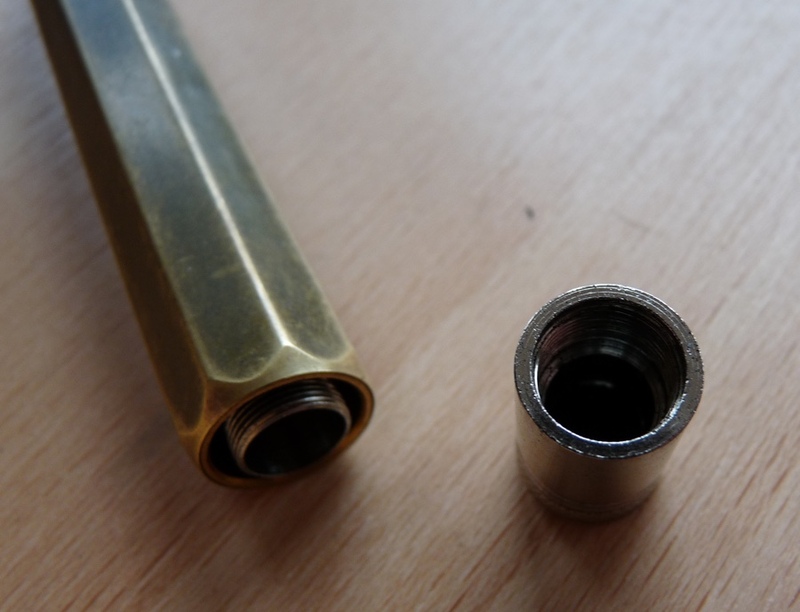 The push button end releases the clutch mechanism and doubles as a lead pointer when unscrewed. It works well as a pointer and the mechanism grips the lead very firmly. The only problem I have is that because the pointer and the business end (nose) both screw into the barrel they’ll often work loose a little and, although this could be my incompetence, I always seem to start by unscrewing them even more before working out which way to turn each part to tighten it all up. The supplied lead is pretty good. Nice and smooth and dark without being too waxy. Kaweco sent me these two pencils to review and to keep. I’ve not let that influence my views, which have come from using the brass version day in day out for quite a long time. I don’t need two of these pencils though so I’m giving the aluminium one away to one lucky reader. (No-one is going to take the brass one away from me. Not ever.) To have a chance of winning, in the comments tell me about a game you play with your children or played with your parents when you were a child. A game you are or were fond of. The closing date is 9am GMT Sunday 31st May. You can only enter once. You can enter anywhere in the world but I won’t be held responsible for dodgy postal services or customs charges. I’ll use random.org to pick the winner. I played park and shop, which unwittingly celebrated the then blooming shopping mall culture yet heralded the old school mom and pop stores like haberdashery and stationery. The one who spent all their money first won. That brass one is *lovely*. 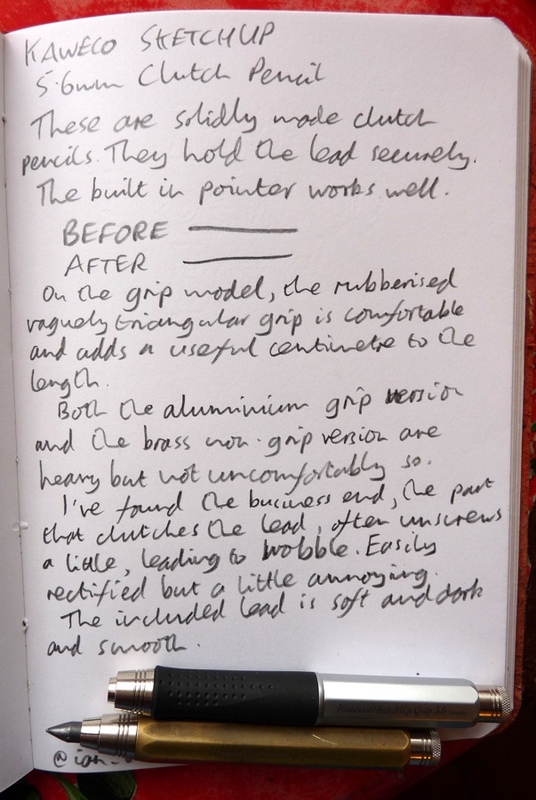 I think the spontaneous unscrewing issue is a part of the leadholder experience, in some ways – all my Koh-I-Noor leadholders suffer it. I think I have fondest memories of Waddington’s “Game of Dracula” ( https://boardgamegeek.com/boardgame/1956/game-dracula ) which we played unceasingly (probably much to the boredom of my parents) when my sister and I were little. I also have fond memories of playing cricket dice (perhaps fittingly, also known as “Pencil Cricket”) with my father and grandfather ( similar to this, http://en.wikipedia.org/wiki/Owzthat although we played with regular 6 sided dice). To say I fondly remember playing baseball in my backyard with my father would be a tremendous understatement. I think the majority of the pictures taken of me aged 3 to 10 were of us playing ball. I look forward to the same with my son in a few years time. Also the brass one is perfect! I have been looking at getting one of these, but can’t make up my mind on which one. As a kid, I remember playing Tic-Tac-Toe with my dad. I know it sounds like a real simple game, but he always made it challenging and exciting. As a father of a three year old daughter, games are hit or miss. They’re either too difficult, or simply don’t hold her attention. Thus far, we have landed on two games that we can play together and thoroughly enjoy – aside from playing “monsters”, chasing each other around the house, of course. We currently enjoy “Don’t Break the Ice” (http://goo.gl/ttfSHq) and “Let’s Go Fishin'” (http://goo.gl/QIDGRi). With both games, I have witnessed my child grow in strategy, problem solving, and fine motor skills. While it has been a true pleasure to see her progress, the real reason these games are so memorable and joyous – it’s a great way to spend quality time together. Thanks for the giveaway, and more specifically – thank you for the format for entering; I love the idea. I remember playing both baseball and basketball with my Dad a lot. When I was REALLY little my Mom would play hide and seek with me in the house. My daughter (7) has been a fan of Uno for a while now. We even make up house rules before each game to liven up each round. Growing up, we didn’t play many games with Mom and/or Dad, but a trip to the grandparents farm and it was GAME TIME! We played one of two games: (1) the card game TOURING or (2) YATZEE. My grandmother, little brother and I would play for hours and alternate between the two games. My father taught me how to play Chess and I treasure that. With my little son, one and a half, we started with peek-a-boo, now we play with his toys and draw togheter. Our family games are Rook and Rummikub, both still favorites of my 99 year old Dad. Thanks for the chance on the clutch pencil. I used to play Chinese Checkers with my grandmother. I was really too young to understand the strategy of it and she was actually quite good at it, and she never let my inability to figure it out influence the way she played, but she would give me all kinds of non-verbal cues as to the soundness of my next move, so I would very slowly move around and look up at her while I was doing it. I actually grew to dislike the game as an adult, but I remember those times playing with her quite fondly. Not actually a game, by my grandfather taught me how to make and use what he called a “flipper” or a slingshot. He would show us what kind of wood to use, how to prepare and dry it and make the elastic band from various materials. We used to set up cans in their yard and shoot rocks at them. I still have those “flippers” to this day. My parents and I used to play Rummy 500 (card game) thanks for the chance at the pencil! We played board games when we would go camping. A favorite was Sorry. We got in trouble at the campground for making too much noise after hours while playing it. Thanks for the chance to the win! We played a game we called “categories” — so creative, huh?! It was Scattergories before there was Scattergories, using just blank paper, a pencil (not as nice as these! ), an egg timer, and our imaginations, imagine that!, to come up with the letters and categories. We weren’t smart enough to patent it, but we had hours of enjoyment from it. Honestly, I think it was more fun than Scattegories because we devised it ourselves! Thanks for the opportunity to win one of these terrific pencils! 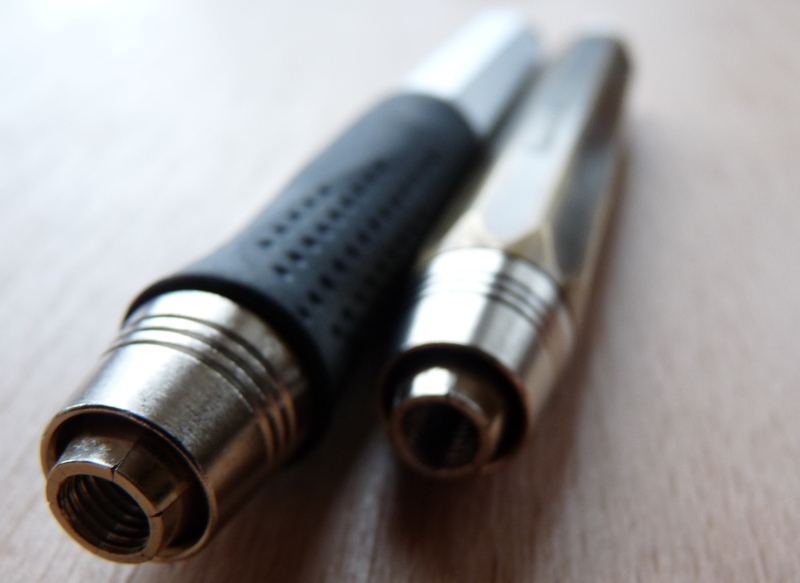 This Kaweco clutch pencil looks great – thanks for giving it away! The Kaweco Clutch looks so beautiful. I remember when I was a child, my mother and father would play UNO! and Life with my sister and I all the time. My mother and I would see who could find the most spare change on the ground. The purpose was so that at a young age I learned the benefit of saving. When I was really little, my sister and I would swing on our swing set and kick out shoes off, competing for both highest kick and longest. Sometimes our mom would pretend to walk in front of the swings and fall over, too, which was hilarious and we would laugh until we nearly peed ourselves. It was sort of a game, I guess. My stepdad taught me how to play cribbage and we would spend Sunday afternoons playing several rounds. He has passed on, but I will always have fond memories of our games. For me it’s gotta be mumbley peg – such a classic game! Used to play with my Dad and grandad when I got my first pocket knife – it involves a series of trick throws of the penknife with the aim being to get the blade to stick in the ground point first. You had to successfully complete each throw before moving onto the next, and the winner would then hammer a stick into the ground with his knife, for the loser to extract with his teeth… Great fun and taught me a lot about knife safety! Our family played hearts, Monopoly, Masterpiece and any other board game that looked interesting. Endless games of Monopoly with my brothers. Also, am I the only person who put a ball in an old stocking and bounced it against the wall with little rhymes? Good times. Hi, A game which we used to play with our parents when we were children was backyard cricket. Getting a cricket bat and ball and a team of about 5 people – one person batting,one person bowling and two to three fielding and playing into the dusky twilight of a summer’s night – blissful fun! :) It got all the family together and we are still fond of getting the family together today to play it with our own children and relatives – it is passing on a tradition which everyone in the family is fond of. I’m not much into games, but I’ve always enjoyed playing cribbage with my parents, and Sequence has become a family favourite. Fortunately, my kids are just starting to get old enough to start playing those games with us. There is only so much snakes and ladders I can handle. There have been so many games 🙂 The latest hit with my 5-year old is Uno. It’s been out of the rotation for a bit, but our favorite “pencil” game for a long time was tic-tac-toe. Thanks for the opportunity Ian! One of the first games I remember is Crazy 8s, which my mother taught me. Trivial Pursuit. I don’t know if my parents were trying to make me smart or if they just liked beating us at games. My dad and I played chess. Until I begun to win. Thanks for the giveaway! Coming from /r/pencils. We always enjoyed playing Scrabble. My favourite game in childhood with my mom would be playing with marbles! We had to roll a dice and depending on the number we had to bump that number of marbles with one hit. Loved it. Thanks for the giveaway! We as a family loved to play ‘Go for broke’, it was the opposite of game of life and you had to get rid of as much of your cash and possessions as possible, the one the ended up with nothing won the game. It was strange as the game can teach you a lot about how quickly you can lose everything and therefore you have to work hard if you want to be able to keep what you have. A game I remember us playing during car rides and family vacations is dots and dashes. You would each take turns making horizontal or vertical lines and the person that completed the most boxes won. It was so much fun! Love the brass one. Nothing beats a good old fashioned game of tag in the backyard with my 5 and 2 1/2 year olds. They love it! What kind of paper are you writing on?, the clutch pencils usually come with a HB lead, and that looks REALLY smooth, or, what grade of lead are you using? There are two games that I can recall playing with my parents In my child hood, balder dash and scategories.